“As an AVID sports fan and voracious reader, I search for compelling stories that will both move my heart and have the potential to change the world. 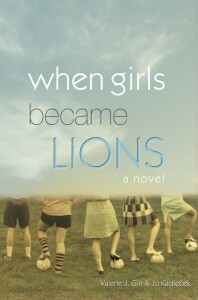 I found those very things in When Girls Became Lions! I laughed, cried, grew angry at injustice, and cheered with joy. I felt as though I was in the room the entire time. This is not only a book about the champion spirit that lies within female athletes, but the athlete in general.